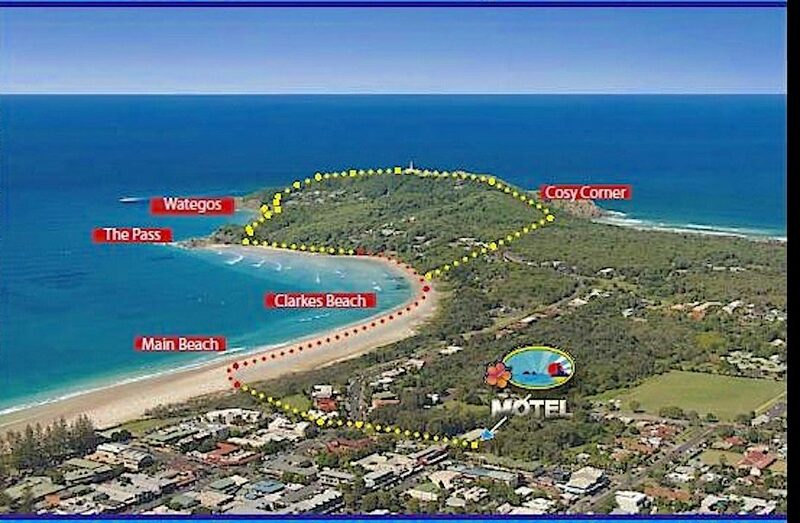 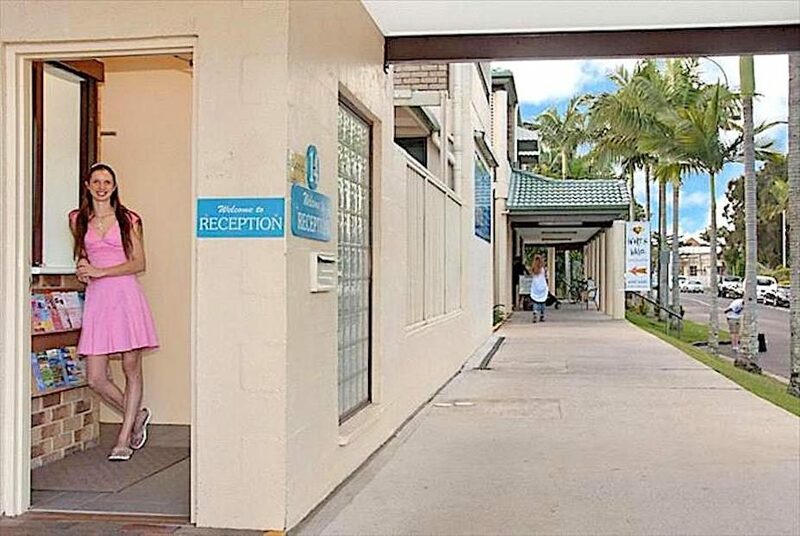 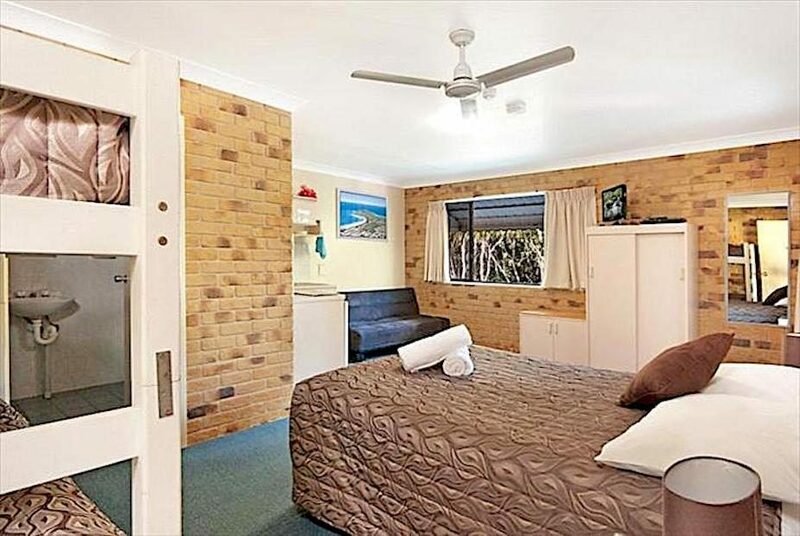 Byron Bay Side Central Motel, offers great value for money in a central location. 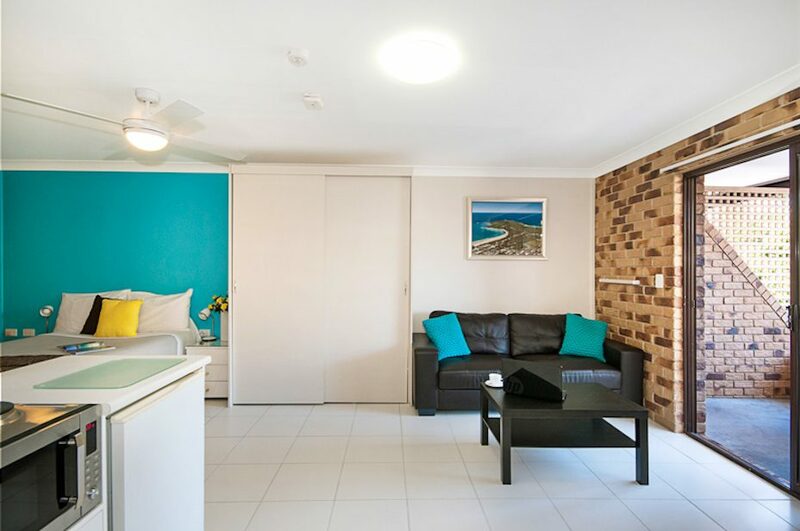 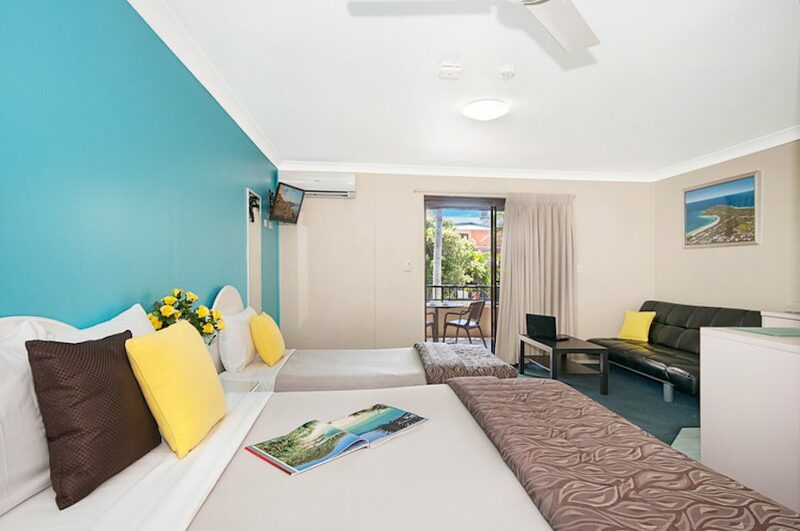 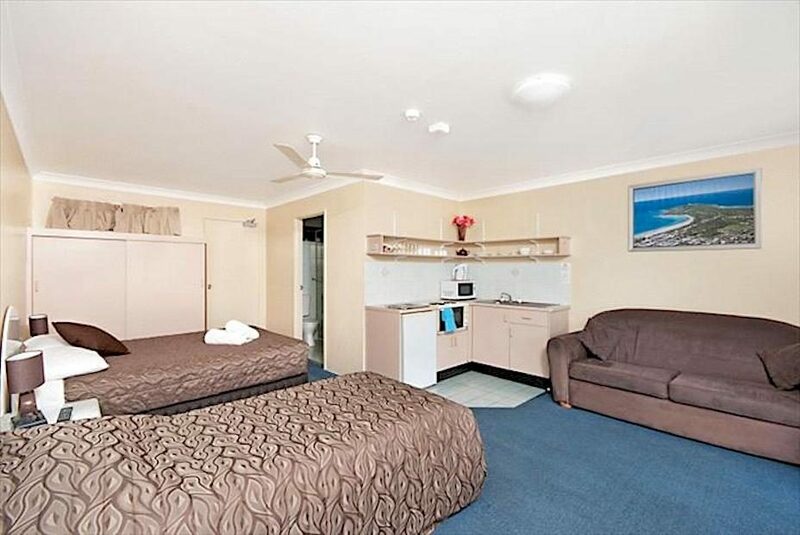 Byron Bay Side Central Motel consists of 20 Studio Apartments; including one fully equipped disabled apartment. 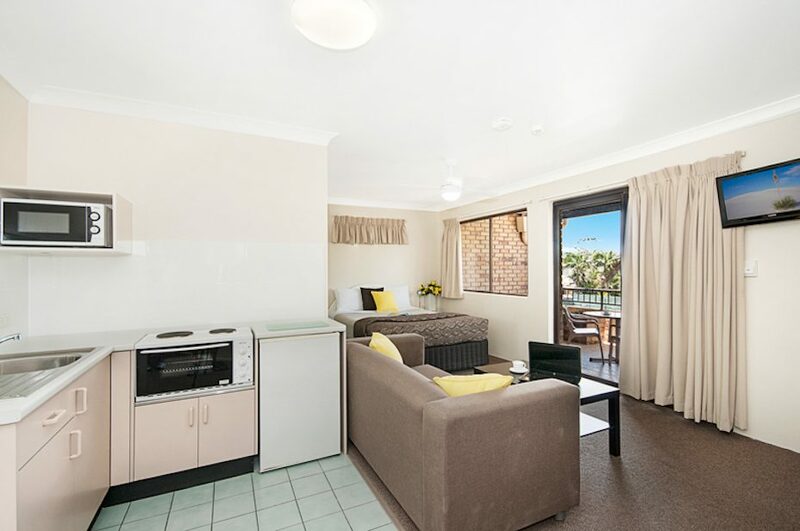 Each studio apartment has a large, open plan lounge and dining area, complete with bed, kitchenette and separate bathroom. 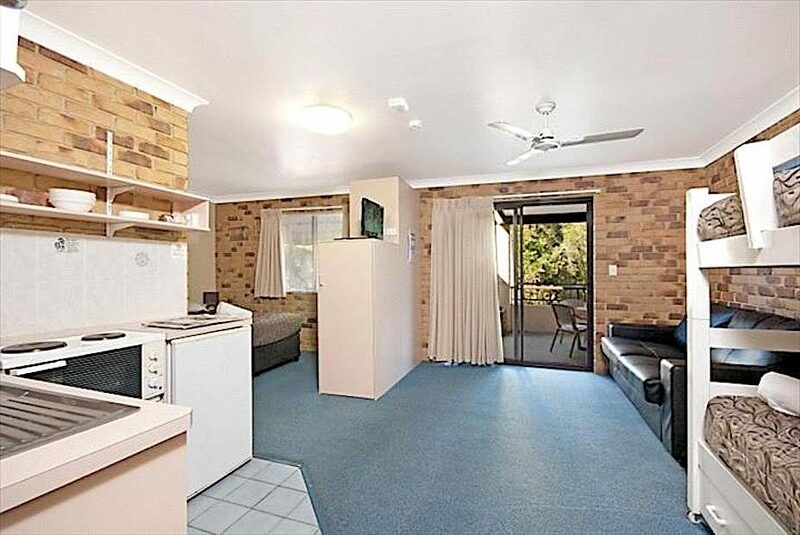 Most units have a large private balcony. 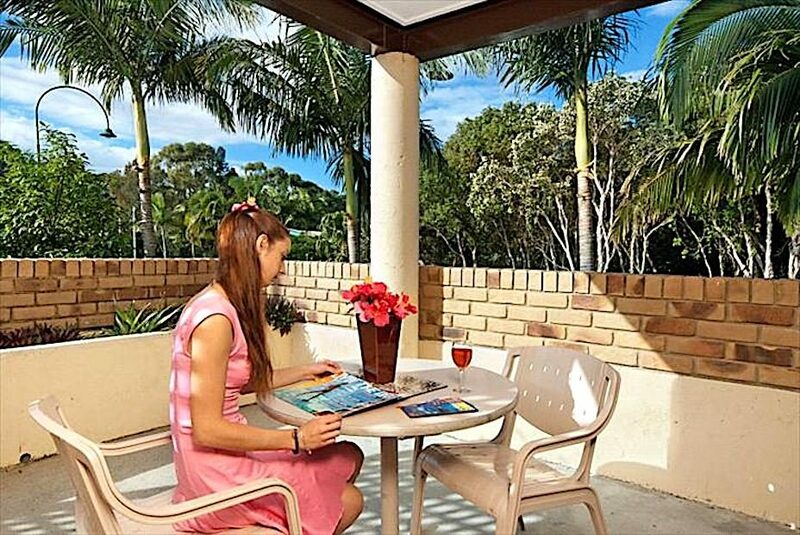 Every effort is made to honour requests for balconies, but sometimes they are not available. 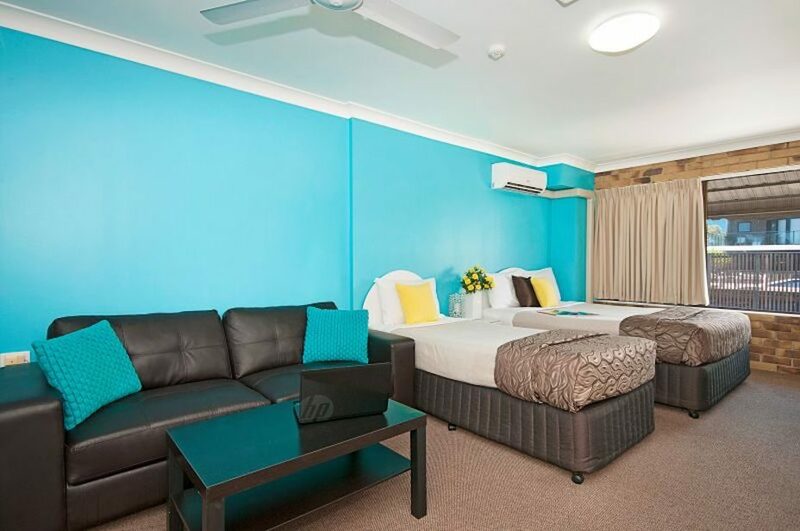 Friendly onsite management, free WI-FI, laundry and under cover parking available to guests. 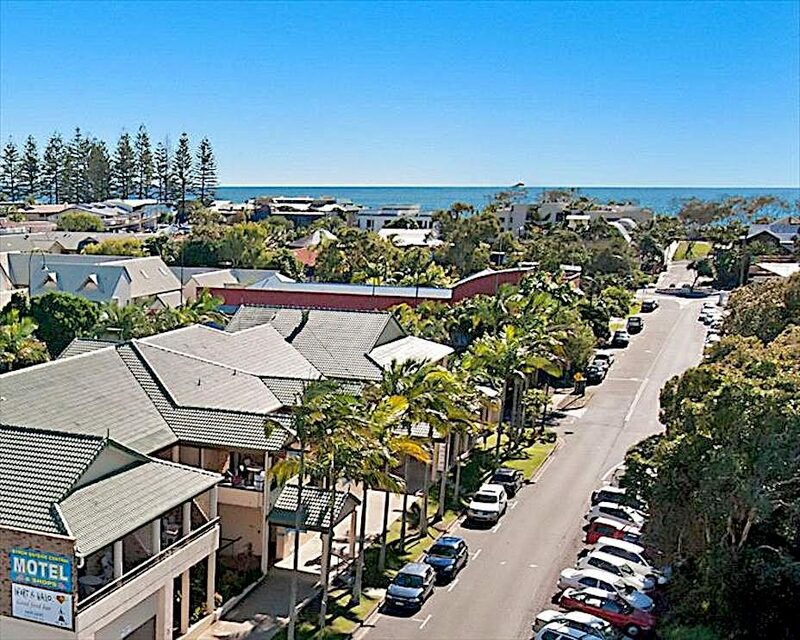 Cafes and restaurants are just around the corner, and with Main Beach only 200 metres away you can just park the car and walk, enjoying everything Byron Bay has to offer on foot. 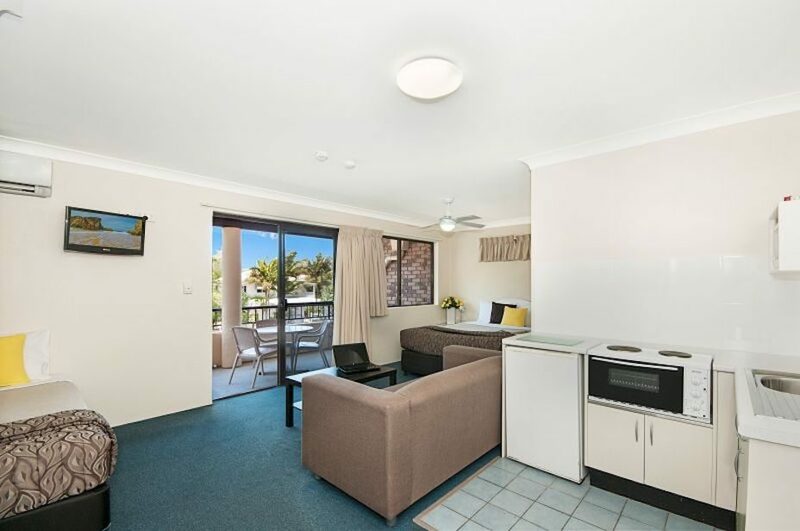 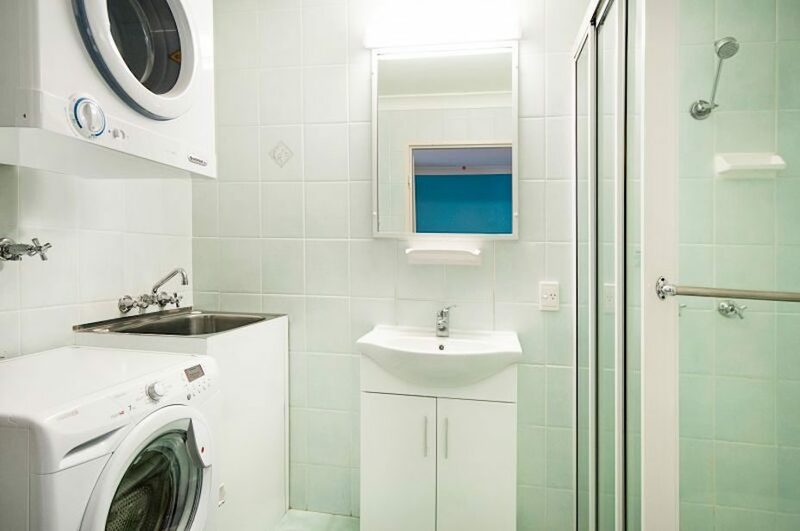 Features ensuite bathroom, kitchenette/cooking facilities, tea and coffee facilities, air-conditioning, balcony, Full HD flat screen television, washing machine and dryer, free Wireless Internet and free parking in our secure underground parking lot (locked at night). 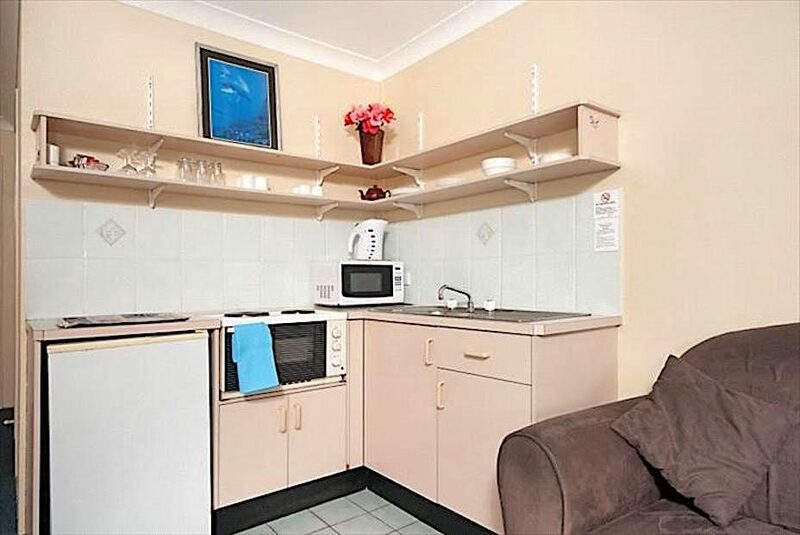 Linen provided. 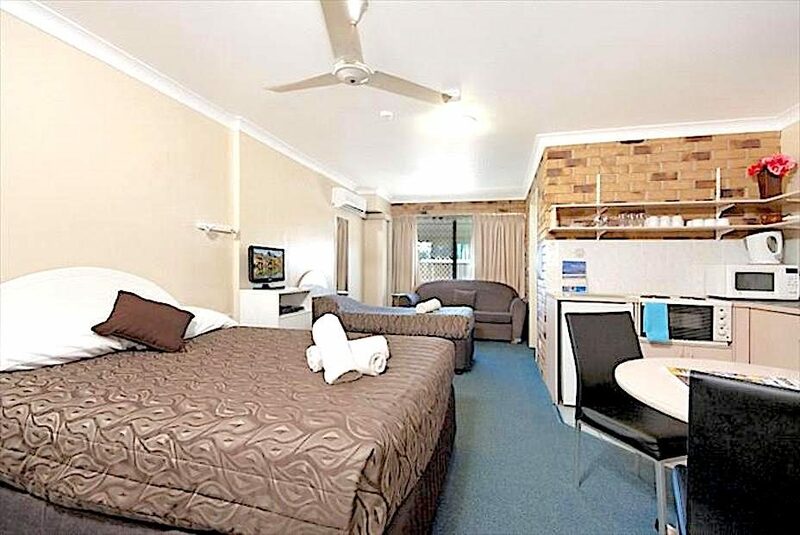 Rate is for 3 people.